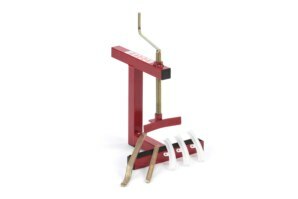 The abba Bead Breaker Kit combines the abba Bead Breaker as well as the abba Tyre Lever Set. This is the perfect kit for changing your tyres at home from start to finish. The abba Tyre Lever Set consists of 2 high quality tyre levers that are perfectly shaped to fit motorcycle wheels and 3 plastic rim protectors that are shaped to snap over wheel rims so no damage is caused when using the levers. Kit includes abba Bead Breaker and abba Tyre Lever Set. High quality motorcycle specific tyre levers. 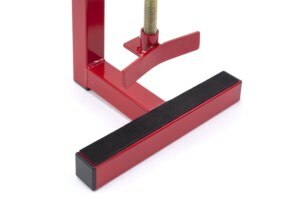 Unique screw thread design on Bead Breaker provides much greater force than lever operated style bead breakers. Rubber pad on Bead Breaker to protect paint on wheel rim. Bead Breaker will break beads on tyres up to 200 section. After the rear wheel bearings let go on my bike I have had to change the tyres off the dymags I usually run back on to my spare set of standard wheels. The stand and bead breaker kit turned up the very next day after I ordered, excellent service. 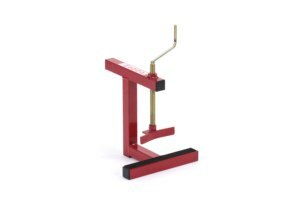 The superbike stand does a perfect job, and the bead breaker kit is just what you need for hassle free tyre changes. It's the first time I've actually done a tyre change myself and your kit is just the job. I'll be trying out the swingarm removal kit soon as well so that I can replace all the bushes and bearing in the rear end of the bike, and I expect the kit and stand will help to make the job so much easier. I'm one very happy bunny. If only I'd got a superbike stand last year before I shelled out on some paddock stands. Does the abba Bead Breaker Kit come with instructions? Instructions are provided for the abba Bead Breaker. With regards to changing your tyres with the levers/rim protectors etc we don't give specific instructions however there are many how-to guides on this subject widely available on the internet/YouTube videos etc. Does the abba Bead Breaker Kit come with a guarantee? 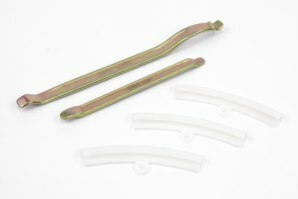 Got a Question about the abba Bead Breaker Kit? If you would like to ask us a question about the abba Bead Breaker Kit, simply fill in the form below and we will contact you within two working days. Want to tell a friend about the abba Bead Breaker Kit? Alternatively fill in the form below and we will send an email on your behalf to your friend, with a link to this page all about the abba Bead Breaker Kit.